24972 PER688.jpg 500X638\PER688.jpg 25245 Zoom_3_Candle-Packaging-.jpg 500X638\Zoom_3_Candle-Packaging-.jpg 25246 Zoom_4_Candle-Packaging.jpg 500X638\Zoom_4_Candle-Packaging.jpg Send A Hint! Product Description: less text Let your gratitude burn bright with this charming candle gift. 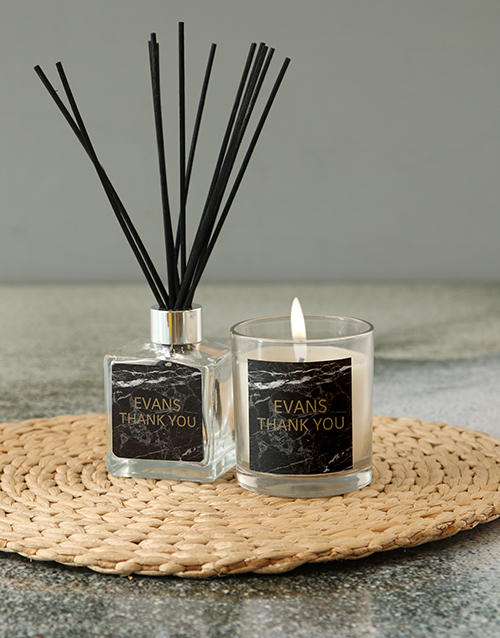 A calming vanilla-scented candle is presented in a fragrant whiskey jar, with a unique marble 'Thank You' label design which can be personalised with a name. This meaningful gift comes packaged in a stylish black gift box, ready to be displayed with pride. Send now with NetFlorist! 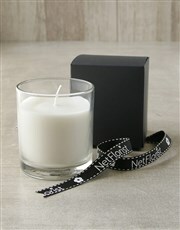 Get this Personalised Marble Thank You Candle delivered with NetFlorist.